Our story begins roughly 10 years ago in Fort Hamilton High School when Marco saw me in our sophomore history class. After class he asked if he could walk me home, and I naturally said “No.” But Marco was persistent, and eventually he wound up walking me home anyway. During high school, we had our differences and took a break but still remained good friends. I stayed in New York to go to Hunter College to pursue my degree in psychology and Marco moved to Washington state to pursue his degree in computer science. While separated from each other, we realized that we wanted to pursue a relationship once more, and over the next five years we carried out a long distance relationship (2,851 miles!) through texts, phone calls, emails, and video chatting. Eventually an opportunity presented itself for Marco to move back to Brooklyn, and after living together for a while, he asked me to marry him. I immediately said, “Yes!” Unlike in high school when he wanted to walk me home, there was no convincing required. 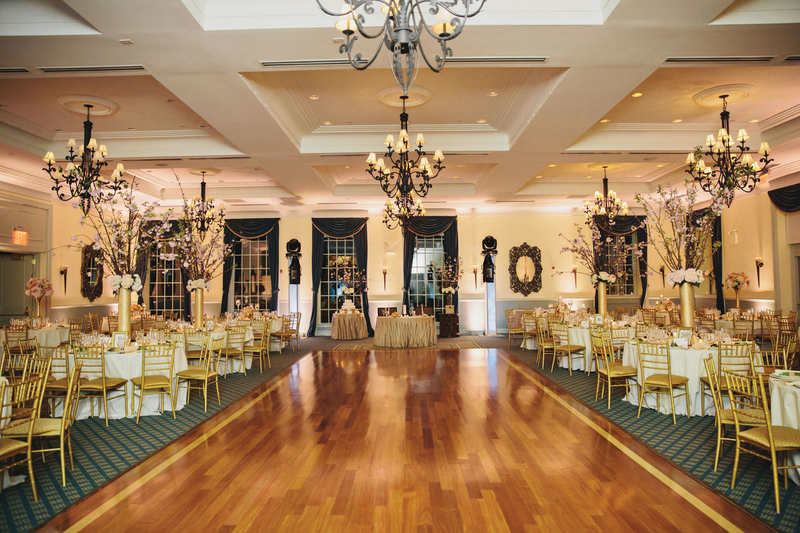 We chose our venue because the ballrooms and entrance had a timeless, classic look, and it was also right in the neighborhood where we grew up. The staff at Dyker Beach Golf Course was incredibly helpful in every step of the planning process. Everyone we worked with there was incredible. 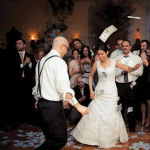 Vicky Kostopoulus, event planner, was our main point of contact and was so attentive and helpful throughout the entire process. Our ceremony was at sunset in front of the gazebo. It had a romantic, personal feel and was everything we dreamed it would be. Our cocktail hour was delicious! Our passed hors d’oeuvres included bacon-wrapped scallops, spring rolls, spanakopita, and pepper-crusted tuna. We also had an 86th Street station with chicken marsala, tilapia oreganata, eggplant rollatini, and short ribs with port reduction. Other stations included a tapas station, a taqueria station, and a risotto station. The steakhouse station was a huge hit! 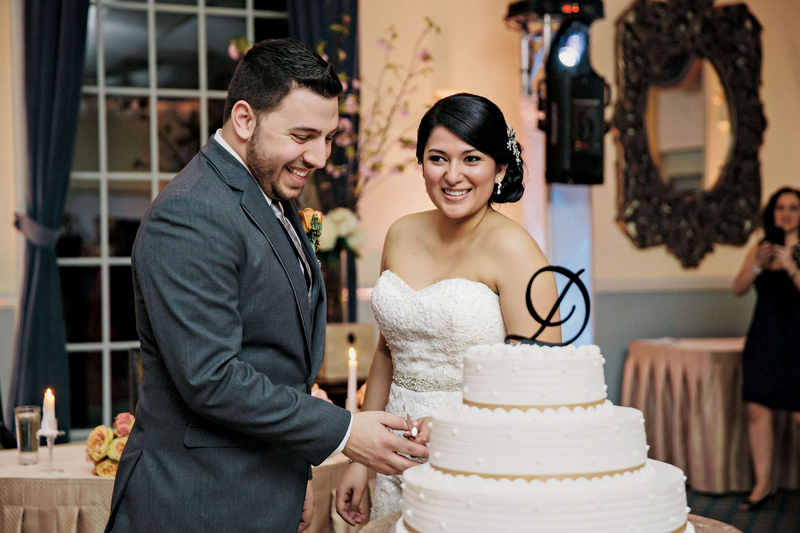 The ballroom décor was one of the main reasons we chose Dyker as our venue. It’s very modern and elegant with a twist of old school feel. The patio facing the golf course makes you feel like you’re in another world. Our three-course dinner began with a Georgia house salad with gorgonzola cheese, candied walnuts, granny smith apples, and organic mesculin greens tossed with a raspberry vinaigrette. This was followed by a pasta course of penne à la vodka. The entrée was a choice of braised beef short rib with a pinot noir reduction; pan-seared chicken breast served with prosciutto, melted mozzarella, and a red wine demi-glace; or oven-roasted sea bass topped with a beurre rouge sauce. We still dream about the sea bass! Dessert was our wedding cake, as well as a display of Italian cookies and pastries, a Nutella crêpe station, a chocolate fountain, and a bananas Foster station. Our 7th Avenue sweet shop station had vanilla and chocolate ice cream with toppings such as shredded coconut, rainbow and chocolate sprinkles, peanuts, chocolate sauce, maraschino cherries, and fresh whipped cream. 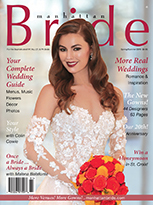 All our vendors understood our vision and worked with us to make our dream wedding come true. 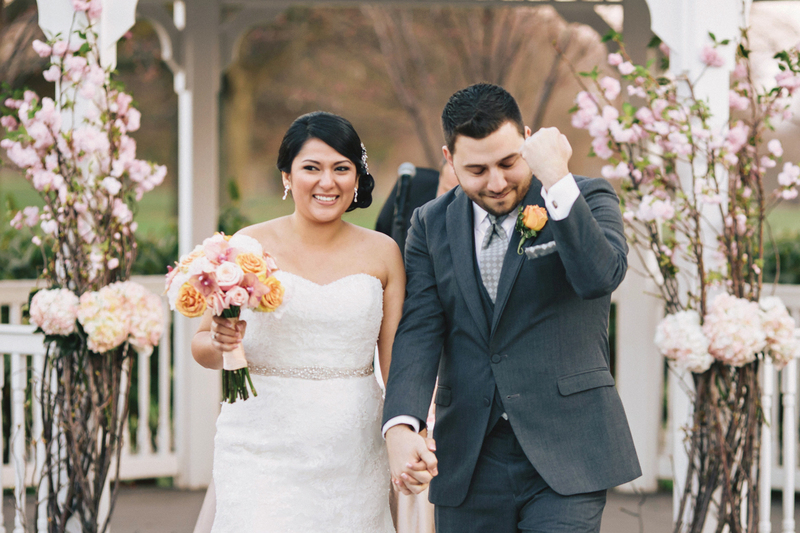 We would like to thank our family and friends for making it the best day ever! 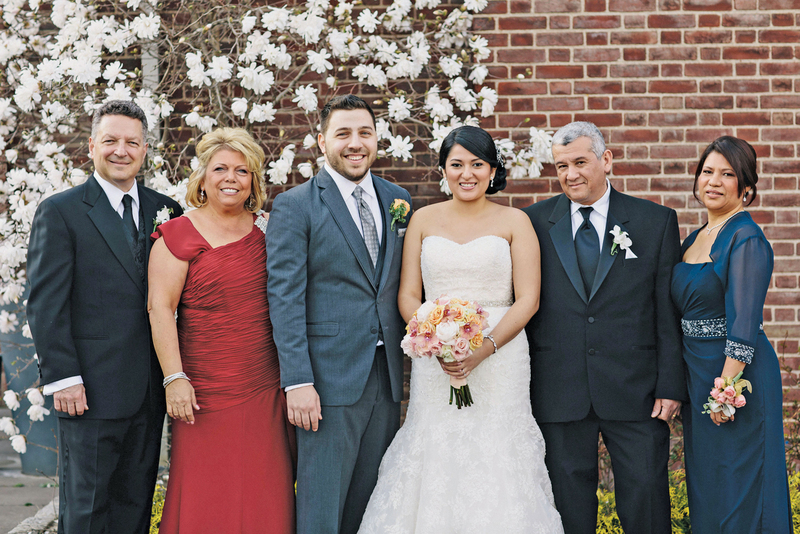 Our bridal party and parents supported us the entire way and we couldn’t have done it without them. We are grateful that so much family was able to travel to our event from Dubai, Washington, Florida, California, and Italy. 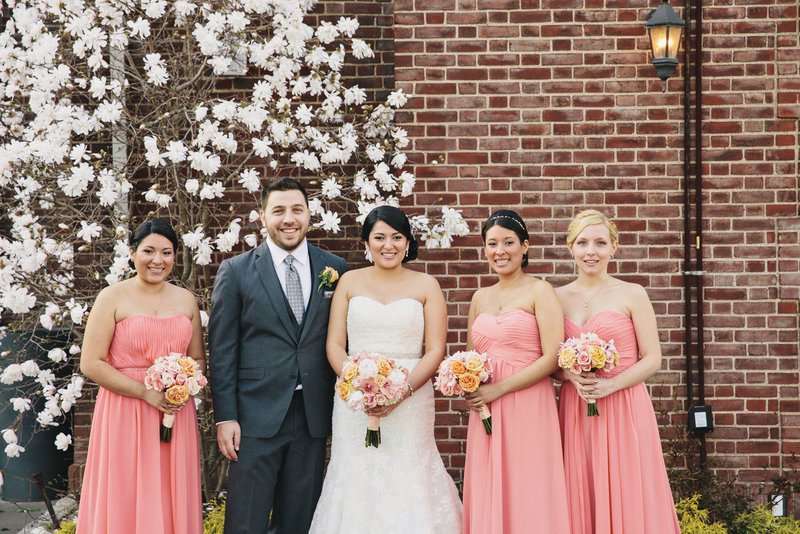 Dyker was the perfect venue for us, and Vicky and the staff were amazing from beginning to end!